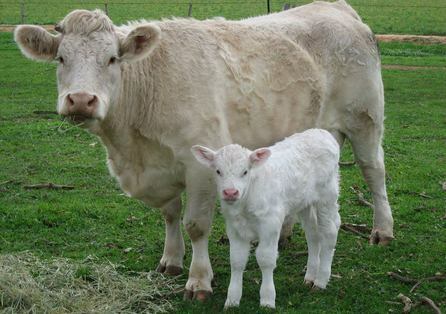 Charolais cattle originate from East France, from Charolais, an area surrounding Charolles in Burgundy to be exact. 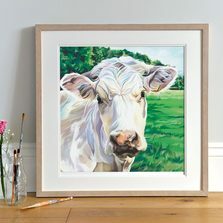 In their homeland they are seen in abundance being France’s second most popular breed, only beaten by our black and white friend, the Holstein. They're also very popular in Mexico and Czech Republic, and our Irish neighbours as they are naturally suited to rough terrain, very adaptable to climate change, although like all of us fair skinned beauties, are prone to sun burn! In the UK they have less of a presence but are found, and there’s no confusion when you do. They are easily recognisable by their white or cream coat and natural horns. Fascinatingly they're so recognisable that this breed dates back to 800 AD. Which is pretty darn old! They're other great calling card? They are BIG! These guys and gals are big animals, known for their muscles. 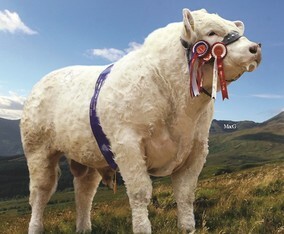 In England a bull of this breed reached 2 tonnes. 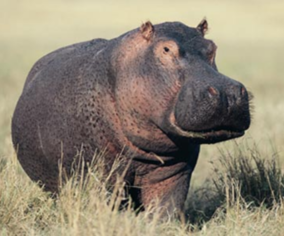 That’s the same as a Hippo! That size can make them pretty dangerous to be around and unfortunately they have earned themselves a bit of a reputation for being hard to deal with. 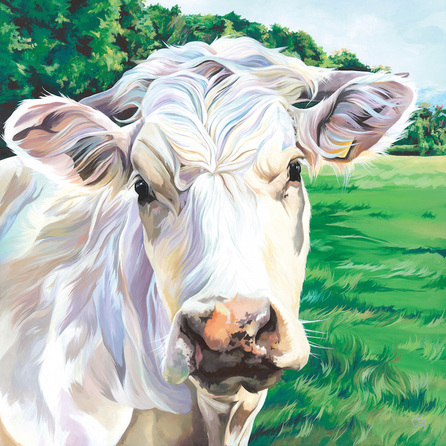 Ivory may have the face of an angel, and many farmers will say that the breed is docile and social, on a whole they are know for having a bad temper. They can be aggressive and flighty, and are known to fight between themselves, hence why many farmers chose to dehorn their herd. But like all animals, with care and attention these cows can be calmed and befriended. We all have our grumpy days after all! I’m so happy to have a Charolais join the herd, and I just love Ivory. 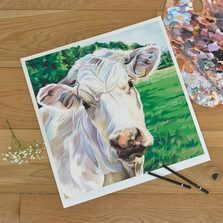 She’s now available to buy as a limited edition print online. Maybe she’ll find herself in a French Chateaux!